Beauty Makeup And Nai Art Concept. 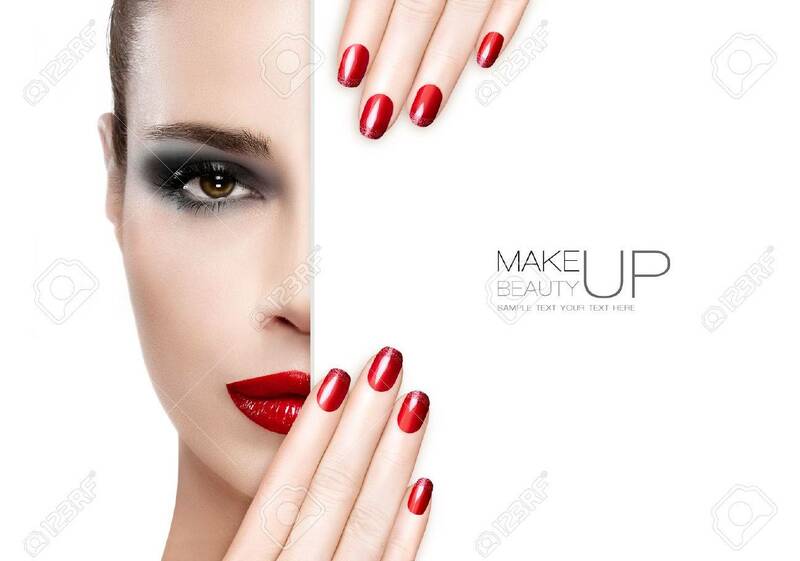 Beautiful Fashion Model Woman With Smoky Eye Makeup, Foundation On A Unblemished Skin And Trendy Red Lipstick To Match Her Manicured Nails, Half Face With A White Card Template. High Fashion Portrait Isolated On White Фотография, картинки, изображения и сток-фотография без роялти. Image 46003249.